Home Blog Bathrooms Rural bathroom design upgrades you won’t regret! Rural bathroom design upgrades you won’t regret! Sometimes an upgrade is necessary when it comes to designing your bathroom. Consider the following rural bathroom design upgrades to your build – here’s why! 1. An extra vanity – to keep the sanity! This one is pretty self explanatory but having your own space in the bathroom is essential! 2. Larger mirrors. 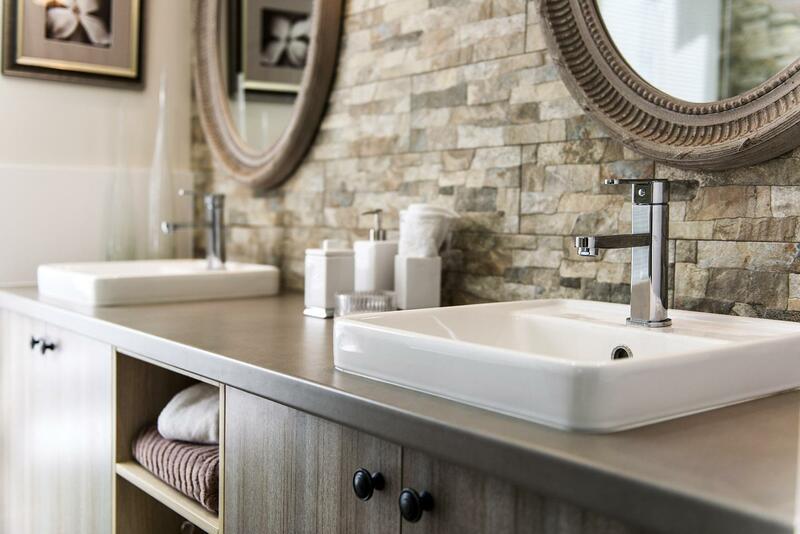 Not only will they make your bathroom space feel larger, but add value to your build! 3. Soap dispensers. This may be a small detail to consider but will keep your bathroom looking chic without the ugly plastic soap containers. 4. More cabinet space. Storage in any room is important! 5. A quiet exhaust fan. Another small detail but for a little bit extra it wont sound like a helicopter is landing over your head every time you shower! 6. Frameless shower doors. Whilst more expensive they will save you in cleaning costs!